Gordon Walton was an early adopter of video games—after developing his first computer game in 1977, he’s worked in the industry since. At first, gaming was a hobby for a niche population of “odd people and nerds,” he says. That’s no longer the case. In 2016, gaming was a $91 billion global business, and it shows no signs of slowing. In his four-decade gaming career, Walton has worked for some of the industry’s top companies, on a number of popular titles, including The Sims Online, Star Wars: Galaxies and Star Wars: the Old Republic. 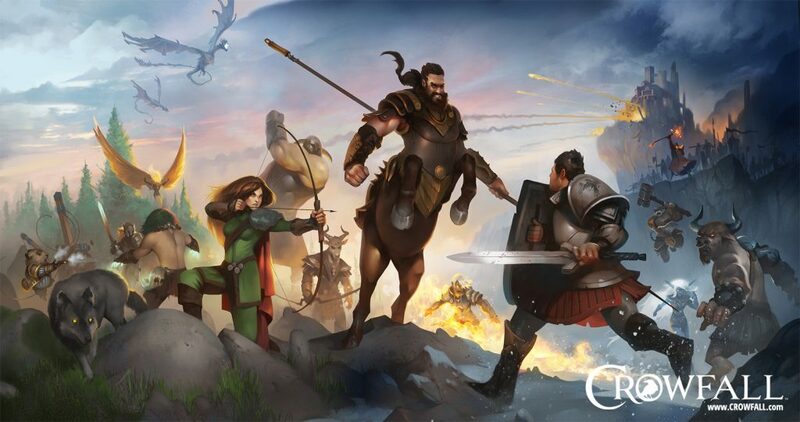 Now, as co-founder of ArtCraft Entertainment Inc. in Austin, Texas, he hopes to score again with “Crowfall,” a massive multiplayer online (MMO) PC roleplaying game currently in development and slated for release this year. Instead of pre-canned adventures built from a linear series of quests, ArtCraft is building worlds that are dynamic. Crowfall is built using this model, where players can make decisions and take actions that change the outcome not just for themselves but for every other player. This creates a far more engaging and immersive style of gameplay. That level of complexity requires a higher level of development and ongoing support than the “Super Mario Brothers” cartridge you enjoyed as a kid. But this isn’t just a story about gaming—it’s about how an entrepreneur goes about the hard job of amassing the capital needed to launch a new game in a crowded and highly competitive marketplace. That can’t be done on the cheap, even for a smaller start-up in an industry dominated by larger companies with massive budgets for product development, marketing and distribution. To level the playing field, ArtCraft Entertainment has been an early adopter of an innovative form of small business financing—crowdfunding. Crowdfunding is a form of “peer-to-peer” lending and investing that allows an entrepreneur to raise operating capital from a large number of investors contributing relatively small amounts. Those contributions are coordinated through web-based portals, rather than through traditional financial intermediary institutions. Though relatively small, it’s a growing area of finance, with an estimated $34 billion raised through crowdfunding worldwide in 2016. Walton and his co-founder, Todd Coleman, another industry veteran, launched ArtCraft in 2013, building their initial pool of capital with money from their own pockets and then lining up funding from angel investors. But in addition, the company ran two campaigns on crowdfunding platforms to generate additional capital and customer interest, bringing in more than $2.7 million (to date, the total funding raised for Crowfall from all sources stands at more than $12.5 million). Here’s what they learned from those campaigns. Crowdfunding isn’t just about money—it’s also a test of a product’s market viability. In 2015, the company launched a campaign on the popular Kickstarter contribution platform. In return for their contribution, Kickstarter supporters get special rewards and perks, like early access to the game and in-game badges reflecting their support. This kind of rewards-based crowdfunding campaign can be a relatively low-cost way to test your concept’s market appeal. For a small contribution, the backer receives a small reward, often, as was the case with ArtCraft, an early version of the item being produced. For Walton, it’s part of the “fail fast” start-up ethos of developing and testing ideas quickly to see what works. The market proof of a successful crowdfunding campaign can also serve to reassure other investors, Walton adds—a critical benefit for an upstart company working to pull together working capital from diverse sources. Sell a product, not a dream. The Kickstarter campaign was a big score: Crowfall raised more than $1.76 million (more than twice their goal) from close to 17,000 people. Key to that success, Walton says, is that they didn’t just present a conceptual outline of what they hoped to create—they built a prototype to give potential supporters a “tactile” sense of how gameplay would look and feel. One size does not fit all: Different platforms require different approaches. After the successful rewards-based campaign through Kickstarter, Walton turned to a second campaign, this time on the IndieGoGo/Microventures platform. The difference was that this campaign would be an equity-based push, meaning contributors would receive a slice of investor ownership in the company. Equity crowdfunding is a more recent development in the U.S., launching last year after being authorized by Congress in the JOBS Act of 2012. (You may also hear equity crowdfunding referred to as “Regulation CF,” or “Reg CF,” funding). The ArtCraft team quickly learned most of what they learned on their Kickstarter campaign didn’t apply. The more stringent rules limiting their ability to communicate freely with potential investors was a source of frustration. Still, the IndieGoGo campaign was also successful, pulling in over $600,000 from 1,072 investors. Regardless of the type of crowdfunding platform, you need to “bring your own crowd,” Walton says: identify your customers and urge them to contribute to generate momentum for your campaign. 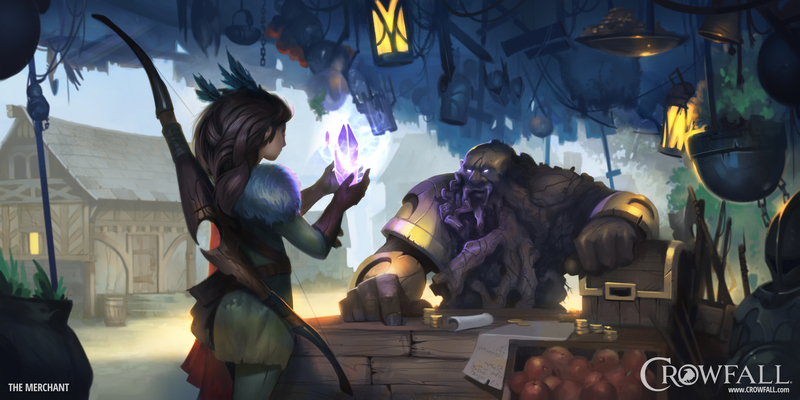 He estimates that in Crowfall’s crowdfunding campaigns, roughly 60% of the contributors were people the company invited to participate directly via e-mail. The remaining 40% were supporters who joined in after seeing that early support. Although the Kickstarter and IndieGoGo campaigns have ended, ArtCraft continues to crowdfund by selling membership packages on the company website, which has allowed them to double their number of backers over the last two years. Walton emphasizes that clear and regular communication with customers is vital for any business, and perhaps even more so when crowdfunding is part of the equation. For ArtCraft, that means erring on the side of too much communication, sharing plenty of information about the company’s challenges and opportunities. That level of openness can be scary, Walton says, since entrepreneurs hesitate to signal vulnerability. But he suggests greater transparency has given players, contributors and early investors a deeper engagement in the company’s success. Initial reviews for “Crowfall” have been positive, based on response to the weekly beta testing opportunities offered to players to identify bugs in the system. Once the game opens to the public, revenue will come from VIP subscriptions and in-game sales of special digital items like power-ups and badges. For Walton, player enthusiasm is the ultimate test, since it means ArtCraft will have succeeded in making “Crowfall” different from the competition. And doing things differently—whether in developing a new game or getting creative about business financing through crowdfunding—is what ArtCraft is all about. *Photos courtesy of ArtCraft Entertainment Inc.